Coptic or Coptic Egyptian (Bohairic: ϯⲙⲉⲧⲣⲉⲙⲛ̀ⲭⲏⲙⲓ, ti.met.rem.ən.khēmi and Sahidic: ⲧⲙⲛ̄ⲧⲣⲙ̄ⲛ̄ⲕⲏⲙⲉ, t.mənt.rəm.ən.kēme), is the latest stage of the Egyptian language, a northern Afro-Asiatic language spoken in Egypt until at least the 17th century as an official language. Egyptian began to be written in the Coptic alphabet, an adaptation of the Greek alphabet with the addition of six or seven signs from Demotic to represent Egyptian sounds the Greek language did not have, in the 1st century AD. Several distinct Coptic dialects are identified, the most prominent of which are Sahidic, originating in parts of Upper Egypt and Bohairic, originally from the western Nile Delta in Lower Egypt. Coptic and Demotic are grammatically closely related to Late Egyptian, which was written with Egyptian hieroglyphs. Coptic flourished as a literary language from the 2nd to 13th centuries and its Bohairic dialect continues to be the liturgical language of the Coptic Orthodox Church of Alexandria. It was supplanted by Egyptian Arabic as a spoken language toward the early modern period, but language revitalization efforts have been underway since the 19th century. The native Coptic name for the language is ϯⲙⲉⲧⲣⲉⲙⲛ̀ⲭⲏⲙⲓ /ti-met-rem-en-kʰeː-mi/ in the Bohairic (Delta) dialect, ⲧⲙⲛ̄ⲧⲣⲙ̄ⲛ̄ⲕⲏⲙⲉ /t-ment-rem-en-kiː-me/ in the Sahidic (Valley) dialect. The particle prefix me(n)t- from the verb ⲙⲟⲩϯ mouti ('to speak') forms many abstract nouns in Coptic (not only those pertaining to "language"). The term remenkhēmi/remenkēme meaning 'Egyptian', literally 'person of Egypt', is a compound of rem-, which is the construct state of the Coptic noun ⲣⲱⲙⲓ/ⲣⲱⲙⲉ, 'man, human being', + the genitive preposition (e)n- 'of' + the word for 'Egypt', ⲭⲏⲙⲓ/ⲕⲏⲙⲉ khēmi/kēme (cf. Kemet). Thus, the whole expression literally means 'language of the people of Egypt', or simply 'Egyptian language'. 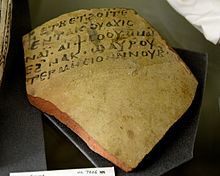 Another name by which the language has been called is ⲧⲙⲛ̄ⲧⲕⲩⲡⲧⲁⲓⲟⲛ /timentkuptaion/ from the Copto-Greek form ⲧⲙⲛ̄ⲧⲁⲓⲅⲩⲡⲧⲓⲟⲛ /timentaiguption/ ('Egyptian language'). The term logos ən aiguptios ('Egyptian language') is also attested in Sahidic, but logos and aiguptios are both Greek in origin. In the liturgy of the Coptic Orthodox Church of Alexandria, the name is more officially ϯⲁⲥⲡⲓ ⲛ̀ⲣⲉⲙⲛ̀ⲭⲏⲙⲓ ti aspi ən rem ən kēmi, 'the Egyptian language', aspi being the Egyptian word for language. Coptic is today spoken liturgically in the Coptic Orthodox and Coptic Catholic Church (along with Modern Standard Arabic). The language is spoken only in Egypt and historically has had little influence outside of the territory, except for monasteries located in Nubia. Coptic's most noticeable linguistic impact has been on the various dialects of Egyptian Arabic, which is characterized by a Coptic substratum in lexical, morphological, syntactical, and phonological features. timsāḥ, Arabic: تمساح‎, Hebrew: תמסח‎ "crocodile"; ⲉⲙⲥⲁϩ emsaḥ; this subsequently entered Turkish as timsah. It should be noted, however, that Coptic ⲉⲙⲥⲁϩ is grammatically masculine and hence would have been vocalised pemsaḥ or bemsaḥ (Sahidic: ⲡⲉⲙⲥⲁϩ; Bohairic: ⲡⲓⲉⲙⲥⲁϩ). Hence it is unclear why the word should have entered Arabic with an initial t, which would have required the word to be grammatically feminine (i.e. Sahidic: *ⲧⲉⲙⲥⲁϩ; Bohairic: *ϯⲉⲙⲥⲁϩ). ṭūbah طوبة "brick"; Sahidic ⲧⲱⲃⲉ to:be; Bohairic ⲧⲱⲃⲓ to:bi; this subsequently entered Catalan and Spanish (via Andalusian Arabic) as tova and adobe respectively, the latter of which was borrowed by American English. A few words of Coptic origin are found in the Greek language; some of the words were later lent to various European languages — such as barge, from Coptic ⲃⲁⲁⲣⲉ bari, "small boat". However, most words of Egyptian origin that entered into Greek and subsequently into other European languages came directly from Ancient Egyptian, often Demotic. An example is the Greek ὄασις oasis, which comes directly from Egyptian wḥꜣt or demotic wḥj. However, Coptic reborrowed some words of Ancient Egyptian origin into its lexicon, via Greek. For example, both Sahidic and Bohairic use the word ebenos, which was taken directly from Greek ἔβενος "ebony", originally from Egyptian hbnj. The Coptic name ⲡⲁⲡⲛⲟⲩⲧⲉ, babnouda (from Egyptian pꜣy-pꜣ-nṯr), means "belonging to God" or "he of God". It was adapted into Arabic as Babnouda, which remains a common name among Egyptian Copts to this day. It was also borrowed into Greek as the name Παφνούτιος (Paphnutius). That, in turn, is the source of the Russian name Пафнутий (Pafnuty), like the mathematician Pafnuty Chebyshev. The Old Nubian language and the modern Nobiin language borrowed many words of Coptic origin. Fifth–sixth century Coptic liturgic inscription from Upper Egypt. The Egyptian language may have the longest documented history of any language, from Old Egyptian that appeared just before 3200 BC to its final phases as Coptic in the Middle Ages. Coptic belongs to the Later Egyptian phase, which started to be written in the New Kingdom of Egypt. Later Egyptian represented colloquial speech of the later periods. It had analytic features like definite and indefinite articles and periphrastic verb conjugation. Coptic, therefore, is a reference to both the most recent stage of Egyptian after Demotic and the new writing system that was adapted from the Greek alphabet. The earliest attempts to write the Egyptian language using the Greek alphabet are Greek transcriptions of Egyptian proper names, most of which date to the Ptolemaic Kingdom. Scholars frequently refer to this phase as pre-Coptic. However, it is clear that by the Late Period of ancient Egypt, demotic scribes regularly employed a more phonetic orthography, a testament to the increasing cultural contact between Egyptians and Greeks even before Alexander the Great's conquest of Egypt. Coptic itself, or Old Coptic, takes root in the first century. The transition from the older Egyptian scripts to the newly adapted Coptic alphabet was in part due to the decline of the traditional role played by the priestly class of ancient Egyptian religion, who unlike most ordinary Egyptians, were literate in the temple scriptoria. Old Coptic is represented mostly by non-Christian texts such as Egyptian pagan prayers and magical and astrological papyri. Many of them served as glosses to original hieratic and demotic equivalents. The glosses may have been aimed at non-Egyptian speakers. Under late Roman rule, Diocletian persecuted many Egyptian converts to the new Christian faith, which forced new converts to flee to the Egyptian deserts. In time, the growth of these communities generated the need to write Christian Greek instructions in the Egyptian language. The early Fathers of the Coptic Church, such as Anthony the Great, Pachomius the Great, Macarius of Egypt and Athanasius of Alexandria, who otherwise usually wrote in Greek, addressed some of their works to the Egyptian monks in Egyptian. The Egyptian language, now written in the Coptic alphabet, flourished in the second and third centuries. However, it was not until Shenoute that Coptic became a fully standardized literary language based on the Sahidic dialect. Shenouda's native Egyptian tongue and knowledge of Greek and rhetoric gave him the necessary tools to elevate Coptic, in content and style, to a literary height nearly equal to the position of the Egyptian language in ancient Egypt. The Muslim conquest of Egypt by Arabs came with the spread of Islam in the seventh century. At the turn of the eighth century, Caliph Abd al-Malik ibn Marwan decreed that Arabic replace Koine Greek and Coptic as the sole administrative language. Literary Coptic gradually declined, and within a few hundred years, Egyptian bishop Severus Ibn al-Muqaffaʿ found it necessary to write his History of the Patriarchs in Arabic. However, ecclesiastically the language retained an important position, and many hagiographic texts were also composed during this period. Until the 10th century, Coptic remained the spoken language of the native population outside the capital. 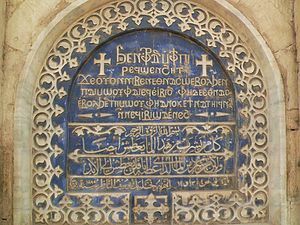 Persecutions under the Mamluk Sultanate (1250–1517) led to the further decline of Coptic until it completely gave way to Egyptian Arabic around the 17th century, though it may have survived in isolated pockets for a little longer. In the second half of the 19th century, Pope Cyril IV of Alexandria started a national Church-sponsored movement to revive Coptic. Several works of grammar were published, withal a more comprehensive dictionary than had been formerly available. The scholarly findings of the field of Egyptology and the inauguration of the Institute of Coptic Studies further contributed to the renaissance. Efforts at language revitalization continue to be undertaken, both inside and outside the Church, and have attracted the interest of Copts and linguists in and outside of Egypt. Coptic uses a writing system almost wholly derived from the Greek alphabet, with the addition of a number of letters that have their origins in Demotic Egyptian. (That makes it comparable to the Latin-based Icelandic alphabet, which includes the runic letter thorn.) There is some variation in the number and forms of these signs depending on the dialect. Some of the letters in the Coptic alphabet that are of Greek origin were normally reserved for words that are themselves Greek. Old Coptic texts employed several graphemes that were not retained in the literary Coptic orthography of later centuries. In Sahidic, syllable boundary may have been marked by a supralinear stroke, or the stroke may have tied letters together in one word, since Coptic texts did not otherwise indicate word divisions. Some scribal traditions use a diaeresis over /i/ and /u/ at the beginning of a syllable or to mark a diphthong. Bohairic uses a superposed point or small stroke known as a djinkim. The oldest Coptic writings date to the pre-Christian era (Old Coptic), though Coptic literature consists mostly of texts written by prominent saints of the Coptic Church such as Anthony the Great, Pachomius the Great and Shenoute. Shenoute helped fully standardize the Coptic language through his many sermons, treatises and homilies, which formed the basis of early Coptic literature. The core lexicon of Coptic is Egyptian, most closely related to the preceding Demotic phase of the language. Up to 40% of the vocabulary of literary Coptic is drawn from Greek, but borrowings are not always fully adapted to the Coptic phonological system and may have semantic differences as well. There are instances of Coptic texts having passages that are almost entirely composed from Greek lexical roots. However, that is likely due to the fact that the majority of Coptic religious texts are direct translations of Greek works. Words or concepts for which no adequate Egyptian translation existed were taken directly from Greek to avoid altering the meaning of the religious message. In addition, other Egyptian words that would have adequately translated the Greek equivalents were not employed as they were perceived as having overt pagan associations. Old Coptic texts employ many such words, phrases and epithets; for example, the word ⲧⲃⲁⲓⲧⲱⲩ '(Who is) in (His) Mountain', is an epithet of Anubis. There are also traces of some archaic grammatical features, such as residues of the Demotic relative clause, lack of an indefinite article and possessive use of suffixes. Thus, the transition from the 'old' traditions to the new Christian religion also contributed to the adoption of Greek words into the Coptic religious lexicon. It is safe to assume that the everyday speech of the native population retained, to a greater extent, its indigenous Egyptian character, which is sometimes reflected in Coptic nonreligious documents such as letters and contracts. Coptic provides the clearest indication of Later Egyptian phonology from its writing system, which fully indicates vowel sounds and occasionally stress pattern. The phonological system of Later Egyptian is also better known than that of the Classical phase of the language because of a greater number of sources indicating Egyptian sounds, including cuneiform letters containing transcriptions of Egyptian words and phrases, and Egyptian renderings of Northwest Semitic names. Coptic sounds, in addition, are known from a variety of Coptic-Arabic papyri in which Arabic letters were used to transcribe Coptic and vice versa. They date to the medieval Islamic period, when Coptic was still spoken. There are some differences of opinion among Coptic language scholars on the correct phonetic interpretation of the writing system of Coptic. Differences centre on how to interpret the pairs of letters ε/η and ο/ω. In Greek spelling, the first member of each pair is a short closed vowel /e, o/, and the second member is a long open vowel /ɛː, ɔː/. In some interpretations of Coptic phonology, it is assumed that the length difference is primary, with ε/η e/eː and ο/ω is o/oː. Other scholars argue for a different analysis in which ε/η and ο/ω are interpreted as e/ɛ and o/ɔ. Dialects vary in their realization. The difference between [o] and [u] seems to be allophonic. Evidence is not sufficient to demonstrate that these are distinct vowels, and if they are, the difference has a very low functional load. For dialects that use orthographic <ει> for a single vowel, there appears to be no phonetic difference from <ι>. Akhmimic is conservative, close to what is reconstructed for Old Coptic. There is no length distinction in final stressed position, but only those vowels that occur long appear there: <(ε)ι, ε, α, ο~ω, ου>. In Sahidic, the letter ε was used for short /e/ before back fricatives, and also for unstressed schwa. It's possible there was also a distinction between short /ɛ/ and /a/, but if so the functional load was extremely low. Again, length is neutralized in final stressed position: <(ε)ι, η, ε, α, ο, ω~ου>. Bohairic did not have long vowels. /i/ was only written <ι>. As above, it's possible that /u/ and /o/ were distinct vowels rather than just allophones. In Late Coptic (that is, Late Bohairic), the vowels were reduced to those found in Egyptian Arabic, /a, i, u/. <ω, ο> became /u/, <ε> became /a/, and <η> became either /i/ or /a/. It's difficult to explain <η>. However, it generally became /a/ in stressed monosyllables, /i/ in unstressed monosyllables, and in polysyllables, /a/ when followed by /i/, and /i/ when not. It's not clear if these correspondences reflect distinct pronunciations in Mesokemic, or if they're an imitation of the long Greek vowels <η, ω>. As with the vowels, there are differences of opinion over the correct interpretation of the Coptic consonant letters, particular the letters ϫ and Ϭ. ϫ is transcribed as ⟨j⟩ in many older Coptic sources and Ϭ as ⟨ɡ⟩ or ⟨č⟩. Lambdin (1983) notes that the current conventional pronunciations are different from the probable ancient pronunciations: Sahidic ϫ was probably pronounced [tʲ] and Ϭ was probably pronounced [kʲ]. Reintges (2004, p. 22) suggests that ϫ was pronounced [tʃ]. Beside being found in Greek loanwords, the letters ⟨φ, θ, χ⟩ were used in native words for a sequence of /p, t, k/ plus /h/, as in ⲑⲉ = ⲧ-ϩⲉ "the-way" (f.sg.) and ⲫⲟϥ = ⲡ-ϩⲟϥ "the-snake" (m.sg). The letters did not have this use in Bohairic, which used them for single sounds. In Late Coptic (ca. 14th century), Bohairic sounds that did not occur in Egyptian Arabic were lost. A possible shift from a tenuis-aspirate distinction to voiced-tenuis is only attested from the alveolars, the only place that Arabic has such a contrast. Earlier phases of Egyptian may have contrasted voiceless and voiced bilabial plosives, but the distinction seems to have been lost. Late Egyptian, Demotic and Coptic all interchangeably use their respective graphemes to indicate either sound; for example, Coptic for 'iron' appears alternately as ⲡⲉⲛⲓⲡⲉ, ⲃⲉⲛⲓⲡⲉ and ⲃⲓⲛⲓⲃⲉ. That probably reflects dialect variation. Both letters were interchanged with ⲫ and ϥ to indicate /f/, and ⲃ was also used in many texts to indicate the bilabial approximant /w/. Coptologists believe that Coptic ⲃ was articulated as a voiced bilabial fricative [β]. In the present-day Coptic Church services, this letter is realized as /v/, but it is almost certainly a result of the pronunciation reforms instituted in the 19th century. Whereas Old Egyptian contrasts /s/ and /z/, the two sounds appear to be in free variation in Coptic, as they were since the Middle Egyptian period. However, they are contrasted only in Greek loans; for example, native Coptic ⲁⲛⲍⲏⲃⲉ (anzībə) and ⲁⲛⲥⲏⲃⲉ (ansībə) 'school' are homophonous. Other consonants that sometimes appear to be either in free variation or to have different distributions across dialects are [t] and [d], [r] and [l] (especially in the Fayyumic dialect, a feature of earlier Egyptian) and [k] and [ɡ], with the voiceless stop consonants being more common in Coptic words and the voiced ones in Greek borrowings. Apart from the liquid consonants, this pattern may indicate a sound change in Later Egyptian, leading to a neutralization of voiced alveolar and velar plosives. When the voiced plosives are realized, it is usually the result of consonant voicing in proximity to /n/. Though there is no clear evidence that Coptic had a glottal stop, different orthographic means have been posited for indicating one by those who believe that it did: with ⲁ word-initially, with ⲓ word-finally in monosyllabic words in northern dialects and ⲉ in monosyllabic words in Akhmimic and Assiutic, by reduplication of a vowel's grapheme but mostly unwritten. A few early manuscripts have a letter ⳋ or ⳃ ç where Sahidic and Bohairic have ϣ š. and Akhmimic has ⳉ x. This sound seems to have been lost early on. Coptic is agglutinative with subject–verb–object word order but can be verb–subject–object with the correct preposition in front of the subject. Number, gender, tense, and mood are indicated by prefixes that come from Late Egyptian. The earlier phases of Egyptian did this through suffixation. Some vestiges of the suffix inflection survive in Coptic, mainly to indicate inalienable possession and in some verbs. Compare the Middle Egyptian form *satāpafa 'he chooses' (written stp.f in hieroglyphs) to Coptic (Sahidic) f.sotp ϥⲥⲱⲧⲡ̅ 'he chooses'. All Coptic nouns carry grammatical gender, either masculine or feminine, usually marked through a prefixed definite article as in the Romance languages. Masculine nouns are marked with the article /pə, peː/ and feminine nouns with the article /tə, teː/ in the Sahidic dialect and /pi, əp/ and /ti, ət/ in the Bohairic dialect. The definite and indefinite articles also indicate number; however, only definite articles mark gender. Coptic has a number of broken plurals, a vestige of Older Egyptian, but in the majority of cases, the article marks number. Generally, nouns inflected for plurality end in /wə/, but there are some irregularities. The dual was another feature of earlier Egyptian that survives in Coptic in only few words, such as ⲥⲛⲁⲩ (snau) 'two'. Words of Greek origin keep their original grammatical gender, except for neuter nouns, which become masculine in Coptic. Coptic pronouns are of two kinds, dependent and independent. Independent pronouns are used when the pronoun is acting as the subject of a sentence, as the object of a verb, or with a preposition. Dependent pronouns are a series of prefixes and suffixes that can attach to verbs and other nouns. Coptic verbs can therefore be said to inflect for the person, number and gender of the subject and the object: a pronominal prefix marks the subject, and a pronominal suffix marks the object, e.g. "I I'have'it the ball." When (as in this case) the subject is a pronoun, it normally isn't also expressed independently, unless for emphasis. Most Coptic adjectives are actually nouns that have the attributive particle n to make them adjectival. In all stages of Egyptian, this morpheme is also used to express the genitive; for example, the Bohairic word for 'Egyptian', ⲣⲉⲙ̀ⲛⲭⲏⲙⲓ /remenkʰeːmi/, is a combination of the nominal prefix rem- (the reduced form of ⲣⲱⲙⲓ rōmi 'man'), followed by the genitive morpheme ən ('of') and finally the word for Egypt, khēmi. For most transitive verbs, both absolute and nominal state grade verbs are available for non-pronominal objects. However, there is one important restriction, known as Jernstedt's rule (or the Stern-Jernstedt rule) (Jernstedt 1927): present-tense sentences cannot be used in the nominal state grade. Thus sentences in the present tense always show a pattern like the first example above (absolute state), never the second pattern (nominal state). It is hazardous to make firm generalizations about the relationships between these grade forms, but the nominal state is usually shorter than the corresponding absolute and neutral forms. Absolute and neutral state forms are usually bisyllabic or contain a long vowel; the corresponding nominal state forms are monosyllabic or have short vowels. An unusual feature of Coptic is the extensive use of a set of "second tenses", which are required in certain syntactic contexts. "Second tenses" are also called "relative tenses" in some work. The verbs in these sentences are in the absolute state grade, which requires that its direct object be introduced with the preposition /ən, əm/. This preposition functions like accusative case. There is little written evidence of dialectal differences in the pre-Coptic phases of the Egyptian language due to the centralized nature of the political and cultural institutions of ancient Egyptian society. However, literary Old and Middle (Classical) Egyptian represent the spoken dialect of Lower Egypt around the city of Memphis, the capital of Egypt in the Old Kingdom. Later Egyptian is more representative of the dialects spoken in Upper Egypt, especially around the area of Thebes as it became the cultural and religious center of the New Kingdom. Coptic more obviously displays a number of regional dialects that were in use from the coast of the Mediterranean Sea in northern Egypt, south into Nubia, and in the western oases. However, while many of these dialects reflect actual regional linguistic (namely phonological and some lexical) variation, they mostly reflect localized orthographic traditions with very little grammatical differences. Sahidic (also known as Thebaic) is the dialect in which most known Coptic texts are written, and was the leading dialect in the pre-Islamic period. It is thought to have originally been a regional dialect from the area around Hermopolis (Coptic Ϣⲙⲟⲩⲛⲉⲓⲛ Shmounein). Around 300 it began to be written in literary form, including translations of major portions of the Bible (see Coptic versions of the Bible). By the 6th century, a standardized spelling had been attained throughout Egypt. Almost all native authors wrote in this dialect of Coptic. Sahidic was, beginning in the 9th century, challenged by Bohairic, but is attested as late as the 14th. While texts in other Coptic dialects are primarily translations of Greek literary and religious texts, Sahidic is the only dialect with a considerable body of original literature and non-literary texts. Because Sahidic shares most of its features with other dialects of Coptic with few peculiarities specific to itself, and has an extensive corpus of known texts, it is generally the dialect studied by learners of Coptic, particularly by scholars outside of the Coptic Church. Akhmimic was the dialect of the area around the town of Akhmim (Greek Panopolis). It flourished during the fourth and fifth centuries, after which no writings are attested. Akhmimic is phonologically the most archaic of the Coptic dialects. One characteristic feature is the retention of the phoneme /x/, which is realized as /ʃ/ in most other dialects. Similarly, it uses an exceptionally conservative writing system strikingly similar to Old Coptic. 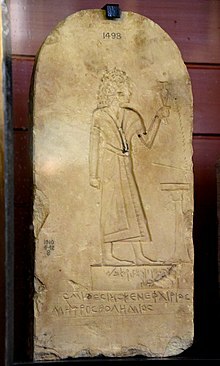 Lycopolitan (also known as Subakhmimic and Assiutic) is a dialect closely related to Akhmimic in terms of when and where it was attested, but manuscripts written in Lycopolitan tend to be from the area of Asyut. The main differences between the two dialects seem to be graphic in nature. The Lycopolitan variety was used extensively for translations of Gnostic and Manichaean works, including the texts of the Nag Hammadi library. The Bohairic (also known as Memphitic) dialect originated in the western Nile Delta. The earliest Bohairic manuscripts date to the 4th century, but most texts come from the 9th century and later; this may be due to poor preservation conditions for texts in the humid regions of northern Egypt. It shows several conservative features in lexicon and phonology not found in other dialects. Bohairic is the dialect used today as the liturgical language of the Coptic Orthodox Church, replacing Sahidic some time in the eleventh century. In contemporary liturgical use, there are two traditions of pronunciation, arising from successive reforms in the 19th and 20th centuries (see Coptic pronunciation reform). Modern revitalization efforts are based on this dialect. Fayyumic (also written as Faiyumic; in older works it is often called Bashmuric) was spoken primarily in the Faiyum west of the Nile Valley. It is attested from the 3rd to the 10th centuries. It is most notable for writing ⲗ (which corresponds to /l/), where other dialects generally use ⲣ /r/ (probably corresponding to a flap [ɾ]). In earlier stages of Egyptian, the liquids were not distinguished in writing until the New Kingdom, when Late Egyptian became the administrative language. Late Egyptian orthography utilized a grapheme that combined the graphemes for /r/ and /n/ in order to express /l/. Demotic for its part indicated /l/ using a diacritic variety of /r/. Oxyrhynchite (also known as Mesokemic or [confusingly] Middle Egyptian) is the dialect of Oxyrhynchus and surrounding areas. It shows similarities with Fayyumic and is attested in manuscripts from the fourth and fifth centuries. On 12 March 2019, the Coptic language was added to Google's virtual keyboard app, Gboard. ^ Hammarström, Harald; Forkel, Robert; Haspelmath, Martin, eds. (2017). "Coptic". Glottolog 3.0. Jena, Germany: Max Planck Institute for the Science of Human History. ^ a b Reintges 2004. ^ "pAy, pA(n)y". Projet Rosette. Retrieved 2017-10-09. ^ "nTr". Projet Rosette. Retrieved 2017-10-09. ^ "ⲗⲁϩⲙϥ [lahmf], ⲗⲁϩⲙⲉϥ [lahmef]". Coptic Dictionary Online. Georgetown University. Retrieved 2017-10-09. ^ Allen, James P. (2010). Middle Egyptian: An Introduction to the Language and Culture of Hieroglyphs (2nd ed.). Cambridge University Press. pp. 1–2. ISBN 978-1-139-48635-4. Retrieved 19 May 2014. ^ Girgis, WA (1963–64). Greek loan words in Coptic. Bulletin de la Société d’archéologie copte 17:63–73. ^ Sijpesteijn, Petra; Lennart Sundelin (2004). Papyrology and the History of Early Islamic Egypt. Leiden, Boston: Brill Academic Publishers. ISBN 978-90-04-13886-5. ^ a b Plumley 1948. ^ Lambdin 1983, pp. xii-ix. ^ Final only (Peust 1999:91). ^ ⟨δ⟩ is used for both original ⟨τ⟩ and ⟨δ⟩ in words of Greek origin, suggesting that it was used as an orthographic marker of Greek vocabulary and that [d] did not occur in Coptic (Peust 1999:89). ^ [ɟ] is the local equivalent of Cairene [ɡ]. ^ Lambdin 1983, p. 2. ^ Lambdin 1983, p. 39. ^ Reintges 2010, p. 210. ^ Lambdin 2003, pp. 30–31. ^ Reintges 2010, p. 211; Lambdin 1983, p. 39. ^ Reintges 2010, p. 208. ^ "The "Coptic" language reaches the Google Gboard keyboard". tech2.org. 12 March 2019. Abel, Carl (1855). "On the Coptic Language". Transactions of the Philological Society (5). Emmel, Stephen. 1992. "Languages (Coptic)". In The Anchor Bible Dictionary, edited by David Noel Freedman. Vol. 4 of 6 vols. New York: Doubleday. 180–188. Gessman, A. M. (1976). "The Birth of the Coptic Script". University of South Florida Language Quarterly 14. 2–3. Gignac, Francis Thomas. 1991. "Old Coptic". In The Coptic Encyclopedia, edited by Aziz Suryal Atiya. Vol. 8 of 8 vols. New York and Toronto: Macmillan Publishing Company and Collier Macmillan Canada. 169–188. Kasser, Radolphe. 1991. "Dialects". In The Coptic Encyclopedia, edited by Aziz Suryal Atiya. Vol. 8 of 8 vols. New York and Toronto: Macmillan Publishing Company and Collier Macmillan Canada. 87–96. Wolfgang Kosack. Lehrbuch des Koptischen.Teil I:Koptische Grammatik.Teil II:Koptische Lesestücke, Graz 1974. Loprieno, Antonio. 1995. Ancient Egyptian: A Linguistic Introduction. Cambridge: Cambridge University Press. Polotsky, Hans Jakob. 1971. "Coptic". In Afroasiatic: A Survey, edited by Carleton Taylor Hodge. (Jana Linguarum: Series Practica; 163). 's Gravenhage and Paris: Mouton. 67–79. Chaîne, Marius. 1933. Éléments de grammaire dialectale copte: bohairique, sahidique, achmimique, fayoumique. Paris: Paul Geuthner. Eberle, Andrea, & Regine Schulz. 2004. Koptisch – Ein Leitfaden durch das Saïdische. LINCOM Languages of the World/Materials 07. Munich: LINCOM Europa. Jernstedt, Peter V. 1927. Das koptische Präsens und die Anknüpfungsarten des näheren Objekts. 'Comptes rendus de l'Academice des Sciences de l'Union République Soviétique Socialistes. 2, 69–74. Lambdin, Thomas Oden (1983). Introduction to Sahidic Coptic. Macon: Mercer University Press. Layton, Bentley. 2000. A Coptic Grammar (Sahidic Dialect): With a Chrestomathy and Glossary. (Porta linguarum orientalium; N.S., 20). Wiesbaden: Harrassowitz. Layton, Bentley. 2007. Coptic in 20 Lessons: Introduction to Sahidic Coptic with Exercises and Vocabularies. Peeters Publishers, ISBN 90-429-1810-1. Mallon, Alexis. 1956. Grammaire copte: bibliographie, chrestomathie et vocabulaire. 4th edition. Beyrouth. Mattar, Nabil. 1990. A Study in Bohairic Coptic. Pasadena: Hope Publishing House. Plumley, John Martin (1948). Introductory Coptic Grammar. London: Home & Van Thal. Polotsky, Hans Jakob. 1987. Grundlagen des koptischen Satzbaus. American Studies in Papyrology 28. Decatur, Ga.: Scholars Press. Reintges, Chris H. (2004). Coptic Egyptian (Sahidic dialect): a learner's grammar. Cologne: Rüdiger Köppe Verlag. ISBN 978-3-89645-570-3. Reintges, Chris H. (2010). "Coordination, converbs, and clause-chaining in Coptic Egyptian typology". In Bril, Isabelle (ed.). Clause linking and clause hierarchy. Studies in Language Companion Series. 128. Amsterdam: John Benjamins. ISBN 978-90-272-0588-9. Shisha-Halevy, Ariel. 1988. Coptic Grammatical Chrestomathy: a course for academic and private study. Orientalia lovaniensia analecta 30. Leuven: Peeters. Shisha-Halevy, Ariel. 1986. Coptic Grammatical Categories: Structural Studies in the Syntax of Shenoutean Sahidic. Analecta Orientalia 53. Roma: Pontificium Institutum Biblicum. ISBN 88-7653-255-2. Shisha-Halevy, Ariel. 2007. Topics in Coptic Syntax: Structural Studies in the Bohairic Dialect. Orientalia Lovaniensia Analecta 160. Leuven – Paris – Dudley, MA: Peeters. ISBN 978-90-429-1875-7. Till, Walter C. 1994. Koptische Dialektgrammatik. Berlin: Walter De Gruyter. Vergote, Jozef. 1973–1983. Grammaire copte. Leuven: Peeters. Younan, Sameh. 2005. So, you want to learn Coptic? A guide to Bohairic Grammar. Sydney: St.Mary, St.Bakhomious and St.Shenouda Coptic Orthodox Church. Černý, Jaroslav. 1976. Coptic Etymological Dictionary. Cambridge and New York: Cambridge University Press. Crum, Walter Ewing. 1939. A Coptic Dictionary. Oxford: Clarendon Press. Reprinted by Sandpiper Books Ltd, London & Powells Books, Chicago, 2000. Vycichl, Werner. 1983. Dictionnaire étymologique de la langue copte. Leuven: Éditions Peeters. Westendorf, Wolfhart. 1965/1977. Koptisches Handwörterbuch. Heidelberg: Carl Winter. Depuydt, Leo. 1993. “On Coptic Sounds,” Orientalia 62 (new series): 338-75. Greenberg, Joseph H (originally published 1962). “The interpretation of the Coptic vowel system,” On Language: Selected Writings of Joseph H. Greenberg, eds., K Denning & S Kemmer. Stanford: Stanford University Press, 1990: 428–38. Grossman, Eitan and Martin Haspelmath. 2015. “The Leipzig-Jerusalem Transliteration of Coptic,” Egyptian-Coptic Linguistics in Typological Perspective, eds., Eitan Grossman, Martin Haspelmath & Tonio Sebastian Richter. Berlin/Munich/Boston: Walter de Gruyter. 145-56. Loprieno, Antonio. 1997. “Egyptian and Coptic Phonology,” Phonologies of Asia and Africa (Including the Caucasus), vol. 1, ed., Alan S. Kaye. Winona Lake: Eisenbrauns. 431–60. Peust, Carsten. 1999. Egyptian Phonology: An Introduction to the Phonology of a Dead Language[permanent dead link]. (Monographien zur ägyptischen Sprache; 2). Göttingen: Peust & Gutschmidt. Wolfgang Kosack: Basilios "De archangelo Michael": sahidice Pseudo – Euhodios "De resurrectione": sahidice Pseudo – Euhodios "De dormitione Mariae virginis": sahidice & bohairice : < Papyruskodex Turin, Mus. Egizio Cat. 63000 XI. > nebst Varianten und Fragmente. In Parallelzeilen ediert, kommentiert und übersetzt von Wolfgang Kosack. Christoph Brunner, Berlin 2014. ISBN 978-3-906206-02-8. Wolfgang Kosack: Novum Testamentum Coptice. Neues Testament, Bohairisch, ediert von Wolfgang Kosack. Novum Testamentum, Bohairice, curavit Wolfgang Kosack. / Wolfgang Kosack. neue Ausgabe, Christoph Brunner, Basel 2014. ISBN 978-3-906206-04-2. For a list of words relating to Coptic language, see the Coptic language category of words in Wiktionary, the free dictionary. France-copte.net By Mikhail David, French coptic site. Ifao N Copte – A professional Coptic font for researchers. GNU FreeFont—FreeSerif face includes a Coptic range.